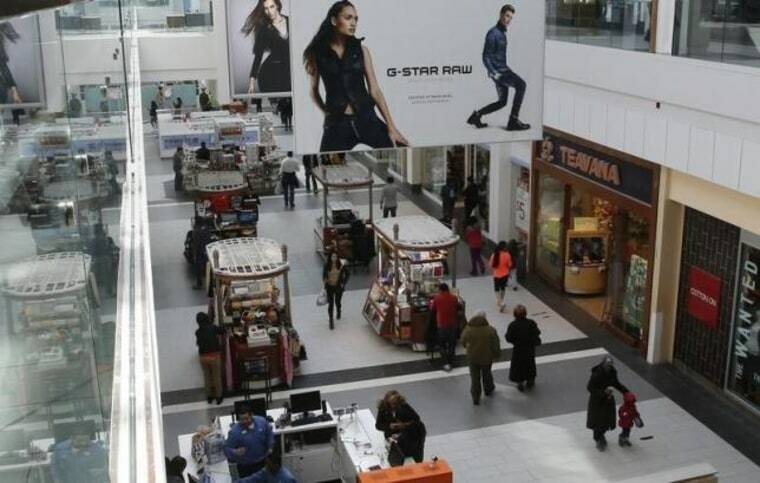 People are seen walking through Roosevelt Field shopping mall in Garden City, New York February 22, 2015. Is the Retail Industry Dead or just in a Funk? Hancock also told NBC News that many of the shopping dollars that went to traditional mall retailers have been moving online, partly thanks to generous incentives. Amazon, for example, recently introduced Amazon Fashion, which offers free two-day shipping to its Prime customers. With new digital players moving into traditional retail territory, department stores have been hard hit. Sears, Macy's, and JCPenney have all shut down locations over the past year. And the ripple effect of a single anchor store closing can be devastating: When a Macy's shut down in New Jersey, 107 people were laid off. Department store closures also impact smaller boutiques. Zeynep Yurderi, owner and designer at Zeyzani, an independent retail store at the Moorestown Mall in New Jersey, credits her unique, handmade items for continuing to bring shoppers into her store — but when one of the mall’s anchor stores shuttered, foot traffic declined, she told NBC News. “In good times, people want a bargain. In bad times, people need a bargain,” Steven Tanger, CEO of Tanger Outlets, told NBC News.